Despite the lively hustle, Hanoi has a green and peaceful heart. 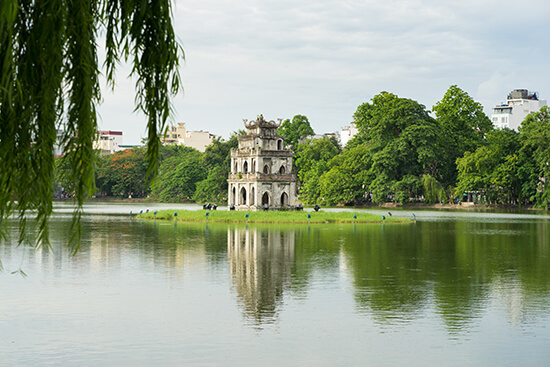 Hoan Kiem Lake and pagoda is steeped in legend and considered sacred by the Vietnamese. If you’re up really early you can join a traditional tai chi session by the lake. Navigating the alleyways of Hanoi is an adventure, especially with nearly five million mopeds to contend with. Join a walking tour and take in the central Imperial Citadel and the Quan Thanh Temple. Also worth a visit is the mausoleum where Ho Chi Minh’s embalmed body still commands respect. 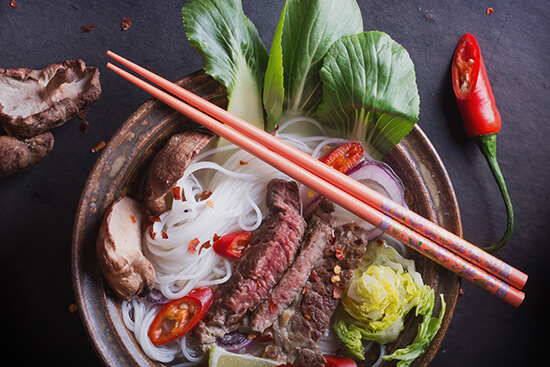 There’s no place better to try a fragrant bowl of pho bo than on the streets of the Old Quarter. It feels like little has changed in centuries on these narrow lanes, with women washing their hair, merchants selling wares and children playing football on pavements. In the Old Quarter each street is home to a historic guild, and loaded with shops dedicated to a trade. Try Hang Bac street for silver and Nha Chung for handicrafts and communist-era posters. Also make time for the French Quarter’s faded colonial buildings. After a busy day treat yourself to a bia hoi, a refreshing draft beer served from kegs. Perhaps the most famous spot is Beer Corner, where locals and tourists knock knees on cheap plastic chairs. The Hanoi water-puppet show is a colourful romp through Vietnamese folk tales. 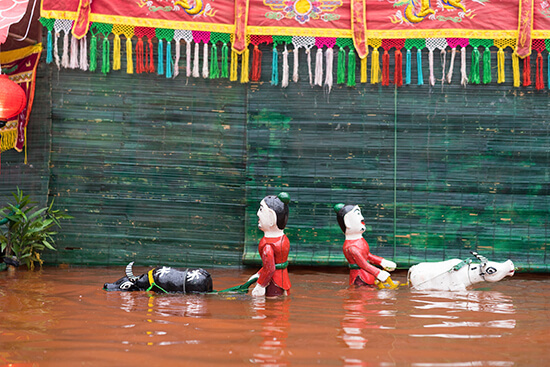 Once traditional entertainment for villagers when their rice fields were flooded, stories of lions, serpents and unicorns are acted out over a pool of water. CAMA ATK, a cool speakeasy, hosts international bands, DJs and club nights. Sip from a slick cocktail menu including a Dark Ginger Daiquiri. Also seek out Zone 9, an arty hub in a former factory with great bars. Small rooms are commonplace in Hanoi, but the traditional Silk Path Hotel has plenty of space, panoramic views of Hoan Kiem Lake from the top floor and a rooftop hot tub. Discover this historic city on our Hanoi to Ho Chi Minh Journey – make an appointment with one of our Travel Experts to find out more.